Why not show your staff that their hard work has paid off this year by presenting them with one of our excellent Customised Trophies. Our Customised Trophies can be printed or engraved with anything that you need them to say depending on the event. just let us know what you would like them to say and we'll have them printed up successfully. Then present them to your staff and show them you care. 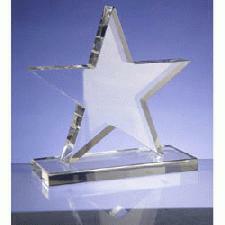 So promote your details upon our Customised Trophies today and stay advertised. To find out more about our Customised Trophies click here and fill in the contact form and we'll get straight back to you. Other promotional and personalised items besides our Customised Trophies click here.